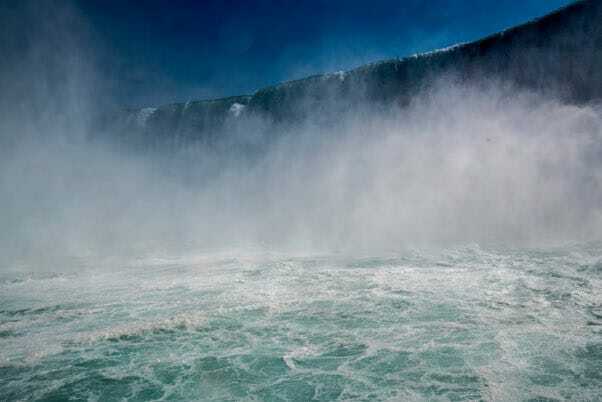 Niagara Falls creates a high density of negative air ions. What are negative air ions? Where do you find them? And what do they have to do with the romance of Niagara Falls, the fun of a day at the beach, or the glory of a tropical rainforest? Negative air ions are created when an electron–a tiny particle with a negative charge–piggybacks onto a big molecule of oxygen. The molecule of oxygen, which has no charge before this event, then carries a negative charge. The oxygen continues to carry a negative charge if microscopic drops of water surround it and its visitor, preventing the electron from leaving. At Niagara Falls, beaches, and tropical rain forests, as well as anywhere there is a storm, the moisture in the air tends to keep an extra electron on zillions of oxygen molecules. These charged oxygen molecules turn into the equivalent of miniature vacuum cleaners by attracting dust, smoke, pollen, mold spores, and other unwanted particles which have positive charges, since negative particles attract positive particles. When the charged oxygen molecules attract positive particles, they form heavy clumps, which drop to the ground, leaving the air we breathe fresher and cleaner. Negative air ions occur far more often in nature than in our homes and buildings, where heating systems and air conditioners remove moisture from the air, making it hard for electrons to stick to oxygen molecules. People can buy ionizing air cleaners to reverse this problem. However, they need to be sure the machines are powerful enough to have an effect, since often only industrial-strength ionizers are effective. Perhaps more important, negative air ions can relieve depression and enhance sleep quality if used properly as a treatment for these problems. For example, an experiment at Columbia University found that the mood and sleeping problems of people who received high-density negative air ions improved just as much as they did in people who received bright light therapy, a treatment that had already been proven effective. What remains a mystery about negative ions, however, is how they work. Scientists suspect the effects may be linked to the ease with which ionized air moves from the lungs throughout the body, improving circulation. 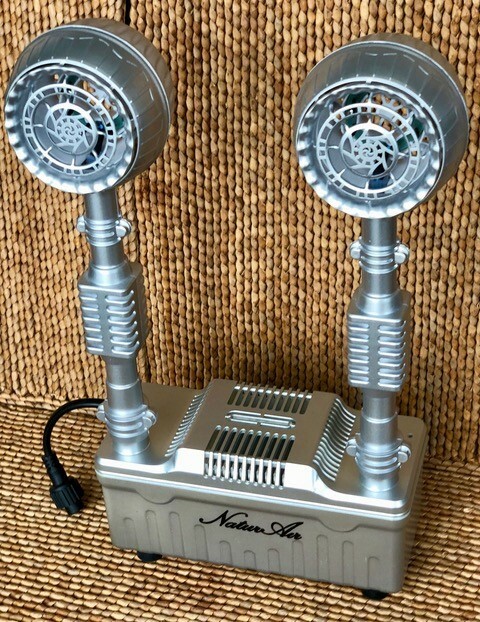 Negative air ionizers act as air purifiers. Depending on their strength, and whether they are used according to instructions, they can improve mood. For more information on the studies showing how negative air ionizers can reduce depression, see The Science of Negative Air Ions.